There are no shortage of fun things to do at Atlantis. 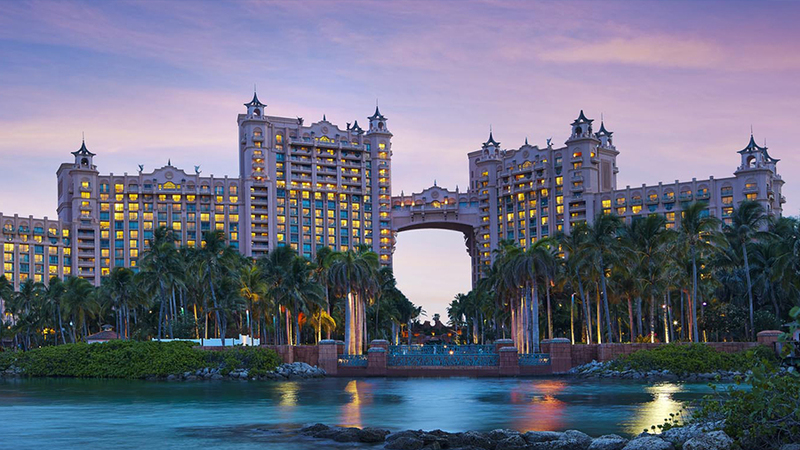 We will list the top 10 best reasons to stay at Atlantis Paradise Island Bahamas. From championship seaside golf, to tennis matches on the harbor, to inimitable experiences with marine life. 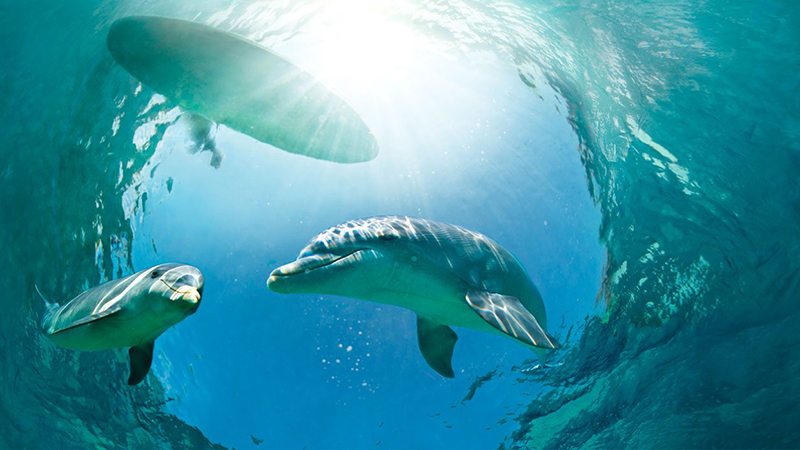 10) Dolphin Cay –At the top of our list of the best reasons to stay at Atlantis is one of the most popular attractions at Atlantis: Dolphin Cay. It is home to bottlenose dolphins and entertaining sea lions. This 14-acre facility includes an 11-acre lagoon complete with coves and sandy beaches. Be sure to check out the 7 connected “residential” pools, a state-of-the-art education center and an animal rescue-rehabilitation hospital. 9) LEGO Fantasy Camps – During the slower summer season, Atlantis keeps things exciting with fantasy camps. It is created for kids ages 7 to 11 to learn a variety of skills in a fun environment. Highlights include: Kids Culinary Adventure, in which children will learn how to cook dishes culminating in their very own birthday cake. 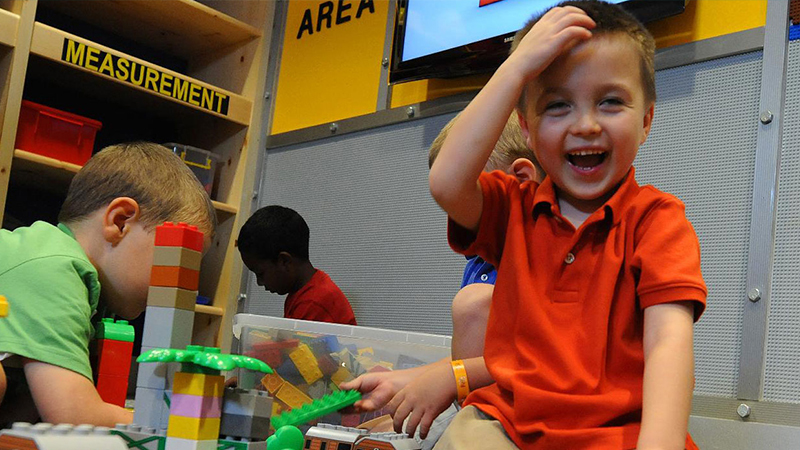 Your little ones will learn how to build incredible large-scale LEGO structures such as the Atlantis resort at the LEGO Fantasy Camp. 8) Kids Club –One of the best reasons to stay at Atlantis for children is because of the amazing kids club. Atlantis Kids Adventures, or AKA. 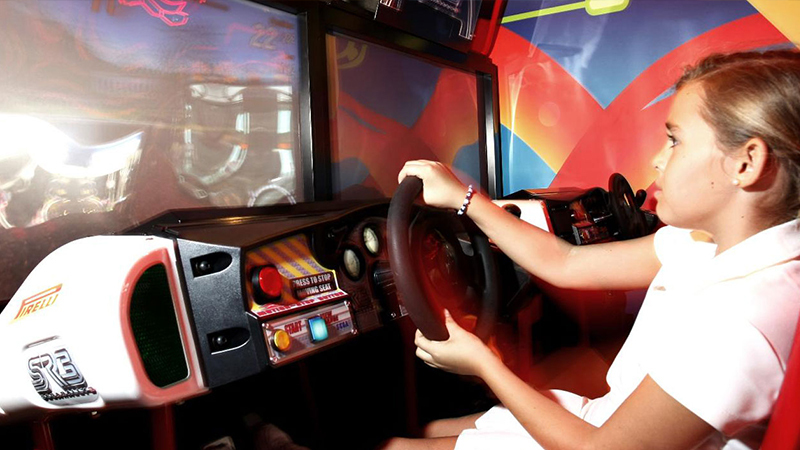 Kids can beat their best scores on games such as Star Wars, Jurassic Park and Top Skater at Gamer’s Reef. Onsite programs include culinary programs, a Rock Band stage and field trips to other parts of the resort. For rainy days, the Beach Tower has a movie theater showing complimentary family movies day and night. 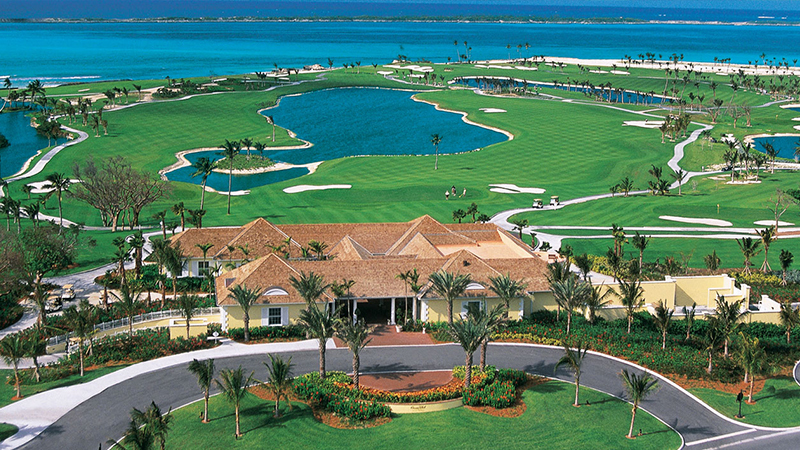 7) Ocean Club Golf Course – Some people may say one of the best reasons to stay at Atlantis is because of golf. The Ocean Club Golf Course offers guests every element for the perfect round. This 18-hole par 72 championship course expands over 7,100 yards on Paradise Island Oceanside’s peninsula, where crosswinds challenge even the most experienced players. Unexperienced players can also practice their game oceanside and develop the perfect gold swing and putting techniques. 6) Teen Clubs – Atlantis features two clubs catering to older kids. Make a stop by at Club Rush, which includes both videogames and dancing for tweens. Teens will want to check out Club Rush which will fascinate them with the latest video games and touch-screen entertainment. It’s the perfect escape from the parents where they will find dancing and a live DJ. 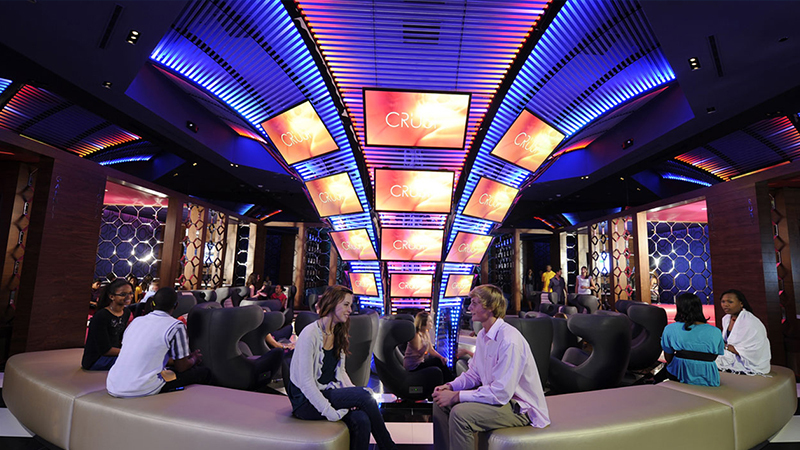 Highlights of the nightclub includes a dance floor, internet lounge, gaming station and a cafe bar. 5) Entertainment – The excitement of Atlantis isn’t limited to just water. 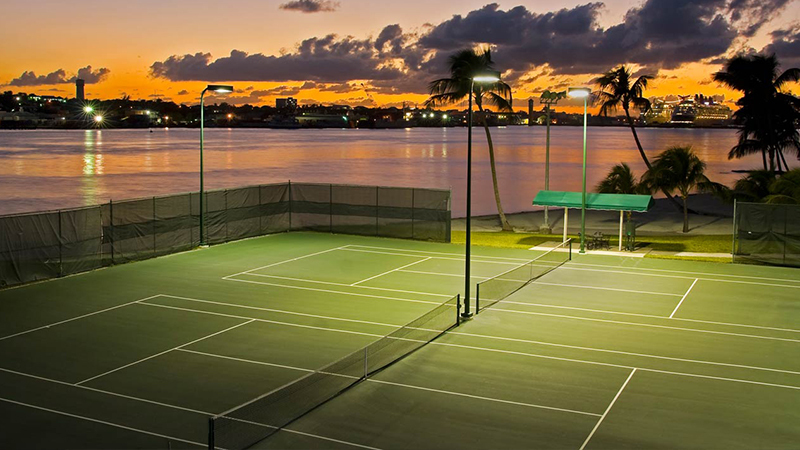 Play a round of tennis on one of the three har-tru courts and three hard courts. Do you like to work out? The Fitness Center has everything you need to stay in shape while on your Bahamas getaway. Atlantis also offers world-class shopping right in paradise. 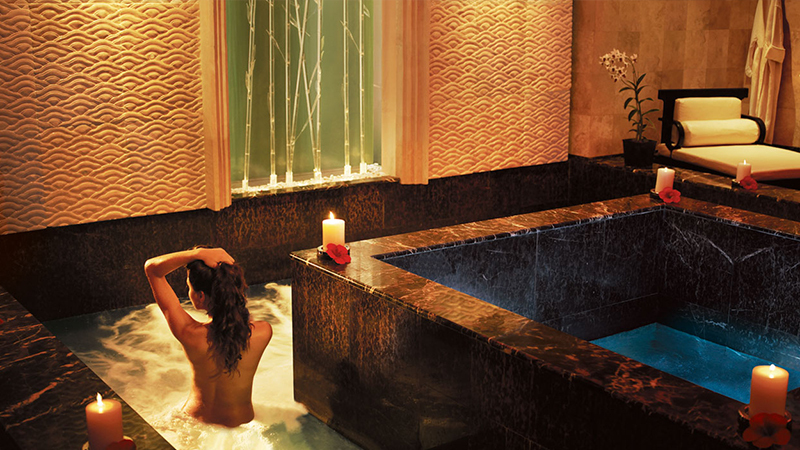 6) Mandara Spa – Women will find one of the best reasons to stay at Atlantis is due to the replenishing spa. The Mandara Spa brings together traditional European therapies, ancient Balinese healing touches and natural element to provide the most unique and pampering spa treatments. 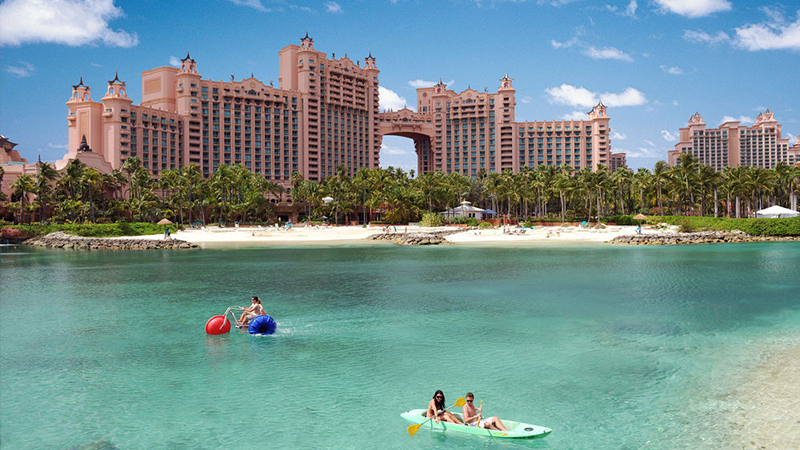 4) Pools and Beaches – One of the best reasons to stay at Atlantis is because of the breathtaking beaches. Discover 5 miles of beautiful beaches that hug the shoreline of Atlantis which include miles of white-sand and crystal-blue waters. This unparalleled waterscape offers vacationers more than 20 swimming areas and 11 refreshing and distinctly different pools. When you settle down to relax on Cove Beach, Atlantis Beach, or Paradise Lagoon, you will find white-sand and a magnificent vista of azure water right at your feet. 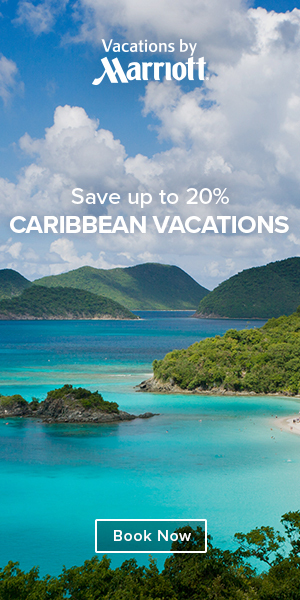 3) Atlantis Adventures – Dive into a world of Caribbean blue adventure at Atlantis. Visitors can dive in and snorkel amid the sunken artifacts of the lost city of Atlantis in the Ruins Lagoon. 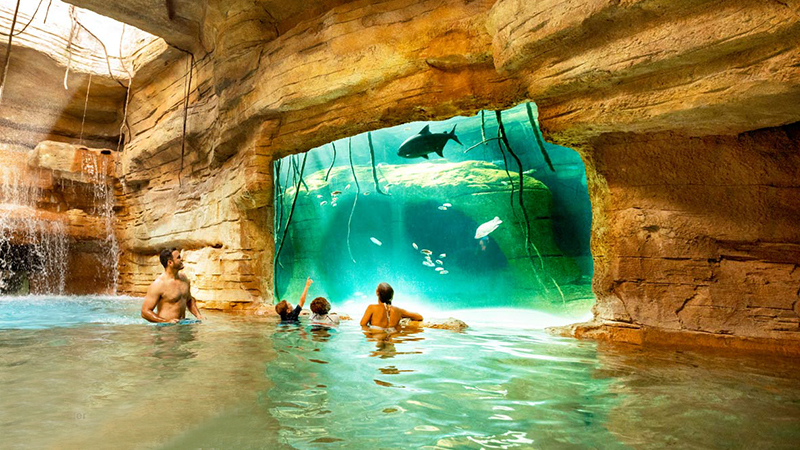 Discover the dynamic, underwater world of Atlantis as you experience the unique opportunity to snorkel alongside exotic tropical fish and even sharks in the Ruins Lagoon. The Stingray Experience offers an amazing, hands-on encounter with hundreds of sleek stingrays and colorful tropical fish. 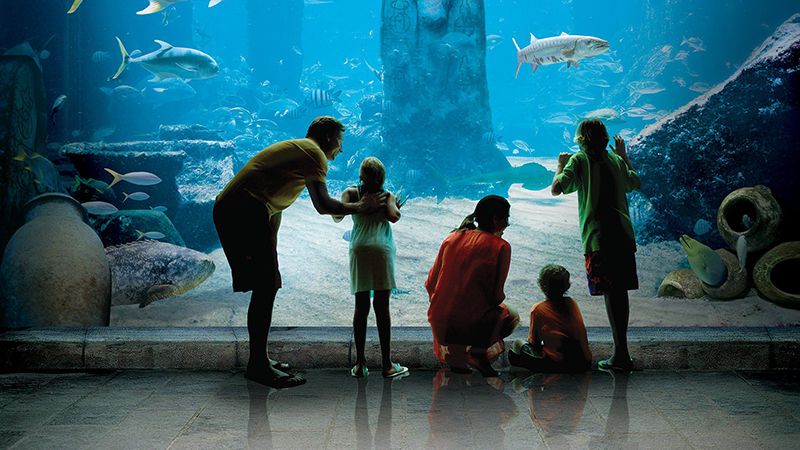 2) Aquariums – Apart from the water activities, families have many other options for fun. Atlantis hosts the largest exhibit in the Caribbean and is recognized as one of the largest in the world. It encompassing 14 lagoons, eight million gallons of ocean water and more than 50,000 aquatic animals representing over 250 marine species. The Dig provides a unique excursion into a wondrous civilization that is home to some of the world’s most exotic sea creatures. Other aquariums to see are the Mayan Temple Shark Lagoon, the Stingray Lagoon or guests can see French angelfish, parrotfish, butterfly fish, squirrelfish at the Seagrapes Lagoon. 1) Aquaventure – At the top of our list of the best reasons to stay at Atlantis is Aquaventure. The giant water park expands for an amazing 141 acres. 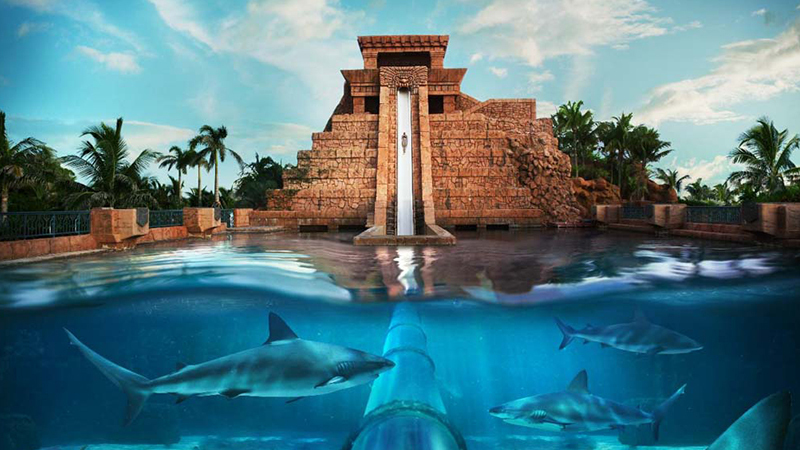 Kids of all sizes, including kids at heart are tempted by waterslides at Atlantis. You will find two interconnected water parks at Atlantis – the Mayan Temple complex and the Power Tower. The two are connected by a windy lazy river. The Current is a river rafting ride combining both peaceful stretches and exciting rapids. It’s a exhilarating 50-foot vertical drop in the dark through a 200-foot-long tunnel. We hope you enjoyed this list of the Top 10 best reasons to stay at Atlantis Paradise Island Bahamas on your next vacation.